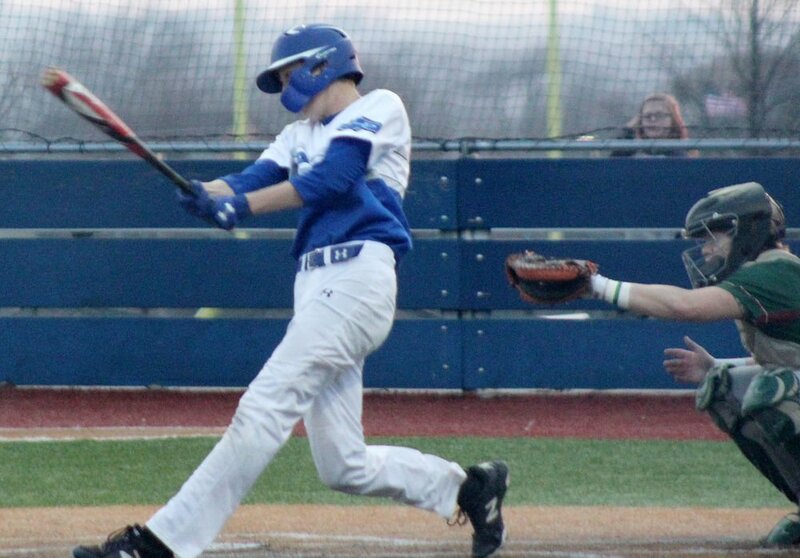 PLATTSMOUTH – Central City/Fullerton made the most of extra opportunities on offense Friday night to leave Plattsmouth with a victory on the diamond. The Kernals claimed a 7-3 triumph in a game held at Blue Devil Park. Central City/Fullerton scored five runs in the fifth inning and added two insurance runs in the seventh. CC/F (3-2) won its third straight game and claimed its second road contest of the spring. PHS head coach Jim Olsen said he felt the Blue Devils did a good job of hitting and pitching against the Kernals. Fielding proved to be the team’s downfall. Plattsmouth committed five errors and allowed CC/F to score several runs with two outs. Plattsmouth (1-5) snapped a scoreless tie in the bottom of the third. Oscar Hinton reached second base and came home on Zane Renner’s RBI hit to left field. Central City/Fullerton went up 5-1 in the fifth. Michael Rutherford raced home from third on a wild pitch to tie the score, and Nik Erickson’s two-run single to left made it 3-1. Kaleb Dudek then slammed a two-out pitch to the left-field fence to plate two additional runs. The Blue Devils responded in the bottom of the frame. Renner drew a walk and moved to third on a balk and infield groundout. He then scored on a wild pitch. Nathan Konkler continued the inning when he reached base on an error. He stole second base and sprinted home on Jack Glup’s RBI hit to create a 5-3 gap. Central City/Fullerton produced the game’s final two runs in the seventh. Two Kernals reached base on errors and Josiah Ohlman sent them home on a single to center. Easton Hoschar helped Plattsmouth’s offense with a pair of hits. Renner added one hit, one walk and one RBI. Plattsmouth starter Jacob Davis struck out ten Kernals and allowed four hits in five innings. Austin Hicks registered three strikeouts and gave up zero earned runs in two innings of relief. 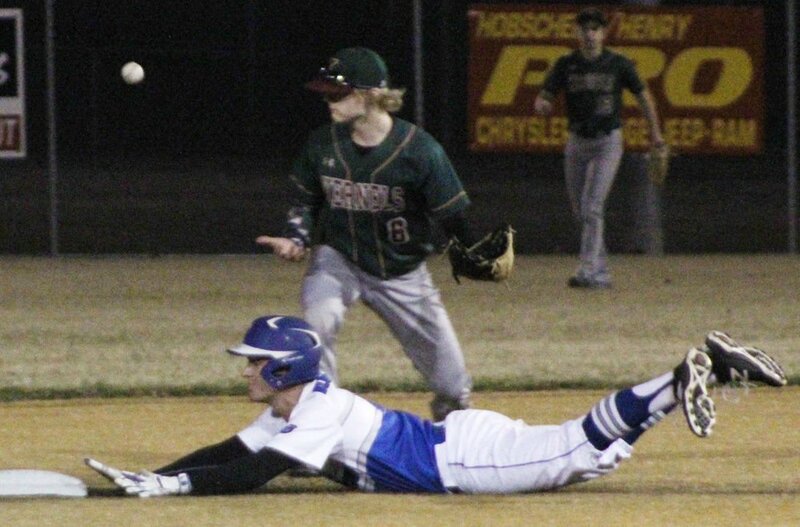 Central City/Fullerton and Plattsmouth played the second game of a doubleheader at Blue Devil Park. PHS defeated Omaha Northwest 5-4 earlier in the afternoon.